Controlling kidney stones has become the norm for these folks. Here are testimonials from some of our customers. We are realizing how many people are getting their lives back from kidney stones and the pain they cause. This is why we do what we do! **The statements on this website have not been evaluated by the Food and Drug Administration. 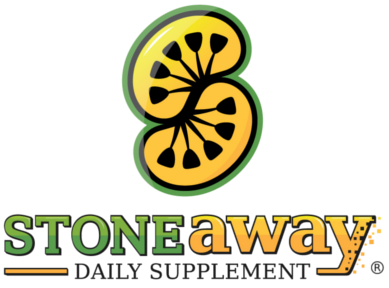 Stone Away is not intended to diagnose, treat, cure or prevent any disease. Pregnant and or lactating women should consult their professional health care provider before using Stone Away. Any information as found within our Website is for general educational and informational purposes only. You understand that such information is not intended nor otherwise implied to be medical advice. Understand that such information is by no means complete or exhaustive, and that as a result, such information does not encompass all conditions, disorders, health-related issues, or respective treatments. You should always consult your physician or other healthcare provider to determine the appropriateness of this information for your own situation or should you have any questions regarding a medical condition or treatment plan. Your results may be different from the results shared within this website. This information has not been evaluated or approved by the FDA and is not necessarily based on scientific evidence from any source.